3. 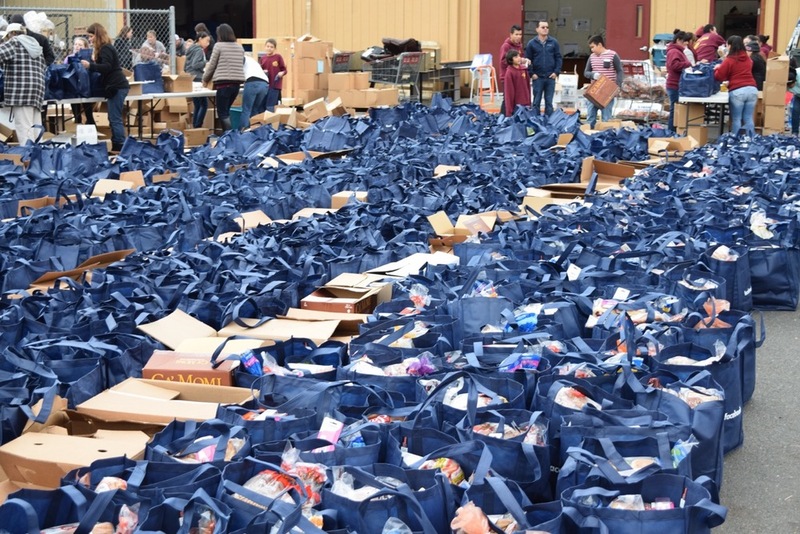 History of the M-A Canned Food Drive: The Menlo-Atherton Canned Food Drive has been a revered tradition since 1999 when Coach Parks established the school's first food drive. The first Canned Food Drive only collected 5,000 cans, but it has grown enormously since then, collecting over 210,000 cans in 2014 (monetary and cans collectively). The M-A Canned Food Drive is a community-centered event devoted to feeding families in need both in our school and local communities. The students are responsible for reaching out into the community and the majority of food collected is from "canning" outside grocery stores and asking for donations. M-A also hosts a Distribution Day at the end of the drive at Ecumenical Hunger. Last year at Distribution Day we fed over 400 families! The M-A Canned Food Drive offers a unique connection between the students and the community.